Dropbox, the online storage service and file synchronization which is more popular in the consumer market, has two major drawbacks: their safety and their prices, although these have declined significantly in recent months. While with the first thing to do, the latter has no more laps: or pay, or not. At the other extreme is Amazon Glacier, a new type of storage that the American company launched last August. Amazon Glacier noted for unbeatable prices, from $ 0.01 per month per GB of space is used. And against Dropbox stands for secure in every way. And the union of both the “universality” and comfort of Dropbox and more than affordable prices Amazon Glacier, arises Amazon IceBox. There is no agreement between the two companies, but a third-trade initiative that promises to combine the best of both services. 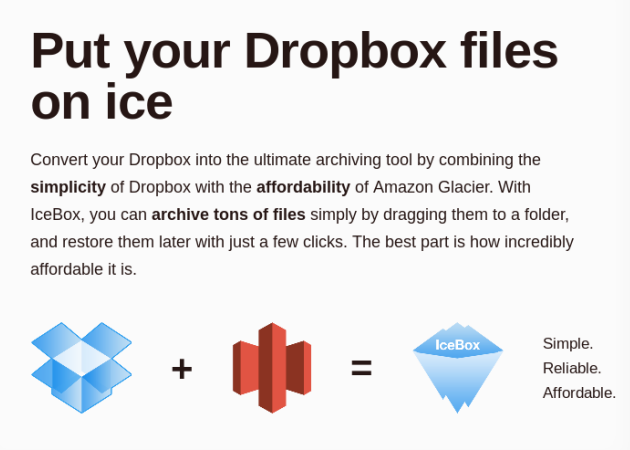 Not a bad idea, except that while Dropbox is designed to store, sync, download and share files current, Glacier Amazon backup important data that are accessed on an infrequent basis and now combination of both i.e. Amazon IceBox promising much more. In fact, prices have the trick for Amazon Glacier, we assume that, precisely to avoid uses for which the service is not intended. How do you balance the scales of Amazon IceBox? it is recommended that anyone interested in trying it read the fine print, before taking a nasty surprise. 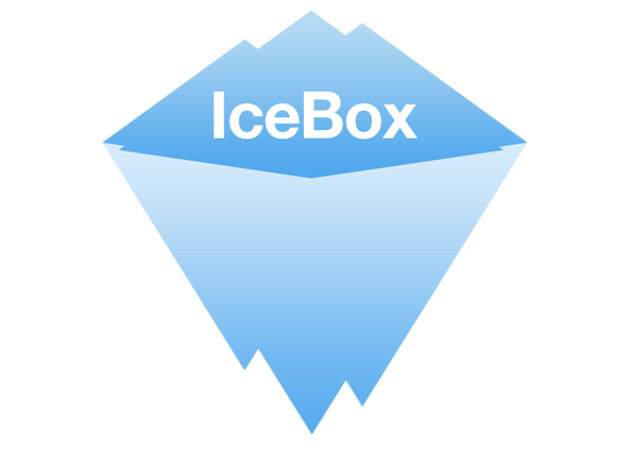 In any case, the common user of IceBox brings the opportunity to use a professional service like Amazon with ease Glacier Dropbox feature. Have several GB of data to store in a safe place? Here’s a simple solution “IceBox”.